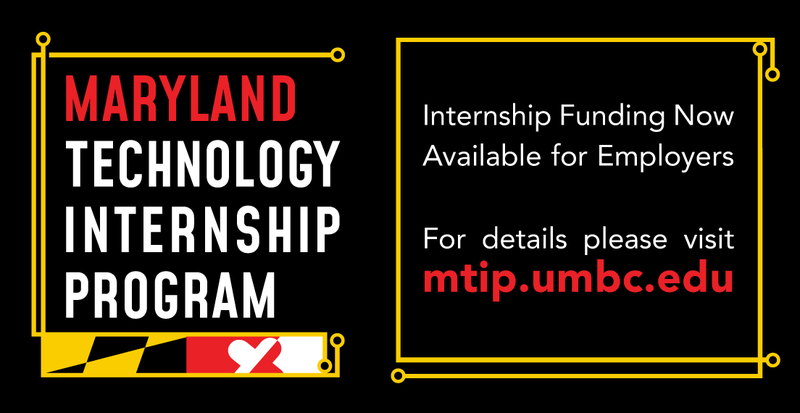 The Maryland Technology Internship Program (MTIP) helps Maryland retain top talent by increasing the number of paid technical internships offered in the state. 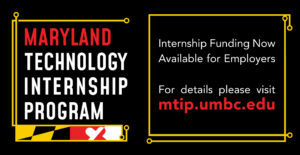 Administered by UMBC and funded by the State of Maryland, the program offers financial assistance to technology-based businesses, as well as state and local agencies, to hire more interns. APPLICATIONS ARE NOW AVAILABLE TO EMPLOYERS FOR INTERN FUNDING. THIS FUNDING INCLUDES SUPPORT FOR CURRENT WINTER, SPRING AND SUMMER INTERN HIRES.